Cataracts Awareness Month: Have You Scheduled Your next Eye Exam in Boynton Beach, FL? Home » What's New » Cataracts Awareness Month: Have You Scheduled Your next Eye Exam in Boynton Beach, FL? Many adults aren't aware that cataracts affect approximately 20.5 million Americans over the age of 40. In fact, more than 50% of senior citizens have some amount of cataract development. A cataract is a clouding of the eye's lens. This prohibits the transmission of light needed for eyesight. Cataracts are sometimes brushed off as typical age-related sight loss, however there are a number of characteristics that distinguish them. Depending on the type of cataract, you may experience blurry vision, sensitivity to sun light or artificial light or a noticeable dullness of colors. Some cataracts are completely asymptomatic until they are more advanced while others may even show signs of a short-lived improvement in near vision known as ''second sight''. The word cataract originates from the Latin cataracta meaning ''waterfall''. This may be because the appearance of opaque clouds in the eye resembles the white cloudy rapids seen in a waterfall. Cataracts that develop as a result of aging usually are characterized by an initial opacity in the lens, followed by swelling and shrinkage of the lens resulting in eventual blindness. There is little you can do to prevent cataracts, other than guard your eyes from UV exposure by wearing sunglasses. Some studies suggest that taking antioxidants and limited consumption of salt can also play a role in prevention. Although early loss of sight can be helped with visual aids such as eyeglasses or magnifying lenses, at some point eyesight will likely be impaired to a level to necessitate surgery. Cataract surgery is in fact the most common surgery in the country and is usually a success. Generally, the doctor takes out the clouded lens and replaces it with a clear plastic lens called an IOL (intraocular lens). For 9 out of 10 patients, vision is restored to between 20/20 and 20/40. If you are 40 or over you should book an annual eye exam to check for symptoms of vision diseases such as cataracts. 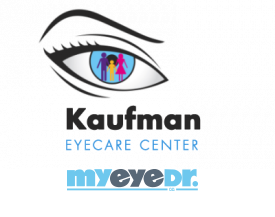 Call our Boynton Beach, FL eye practice today to schedule an appointment.